-Begin at the higherst point of the head and work down. -Use spray to direct the hair. 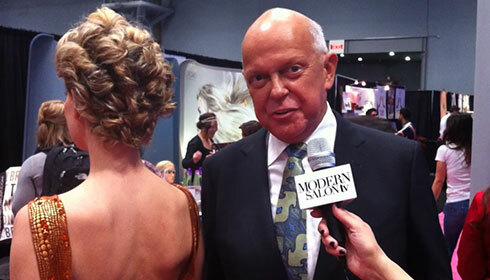 Parsons also points out that professionals should use a spray that offers a light mist (Parsons uses the spray he designed specifically for updos). In the second video, Parsons shows HOW TO get volume and body in hair. It's a perfect demo for both you and your client.